Price Reduced! This Contemporary Northwest custom designed home offers stunning views & a prime location in Tetherow’s Cascade Vista neighborhood, built by Greg Welch, one of Central OR’s leading builders. This home has 3 ground level bedrooms, 3.5 baths, a large downstairs bonus room w/ dry bar that can double as the 4th suite, an ample mudroom, office, & over 3,100 SF of living space on a mountain view lot. Not only is this home designed w/ contemporary finishes, light & bright spaces and a thoughtful floorplan to maximize views & livability, it also is situated in a prime Tetherow location allowing easy access & close, biking proximity to award winning schools, Bend’s westside & vibrant downtown. 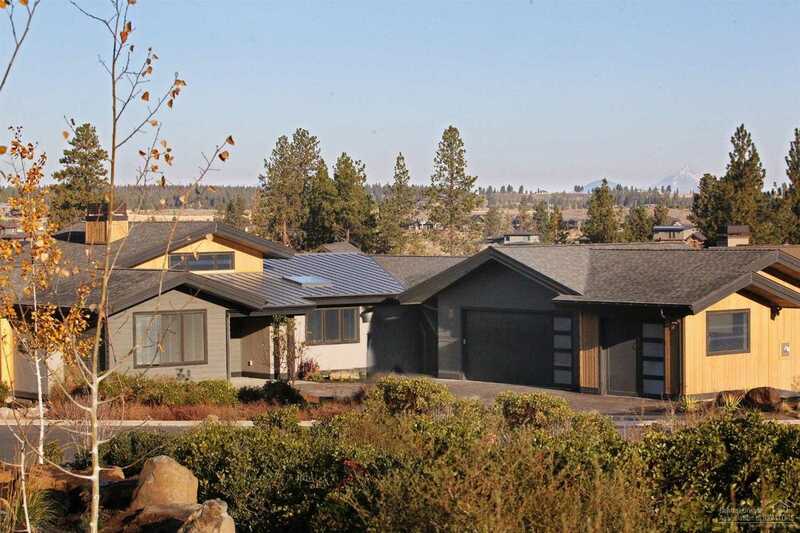 While Bend has consistently been named one of the best places in the country to live, Tetherow Resort & community could be the best place to live in Bend, comprised of 700 acres on the desirable westside. Please, send me more information on this property: MLS# 201805397 – $1,229,000 – 61369 Lost Hollow Loop, Bend, OR 97702. I would like to schedule a private showing for this property: MLS# 201805397 – $1,229,000 – 61369 Lost Hollow Loop, Bend, OR 97702.